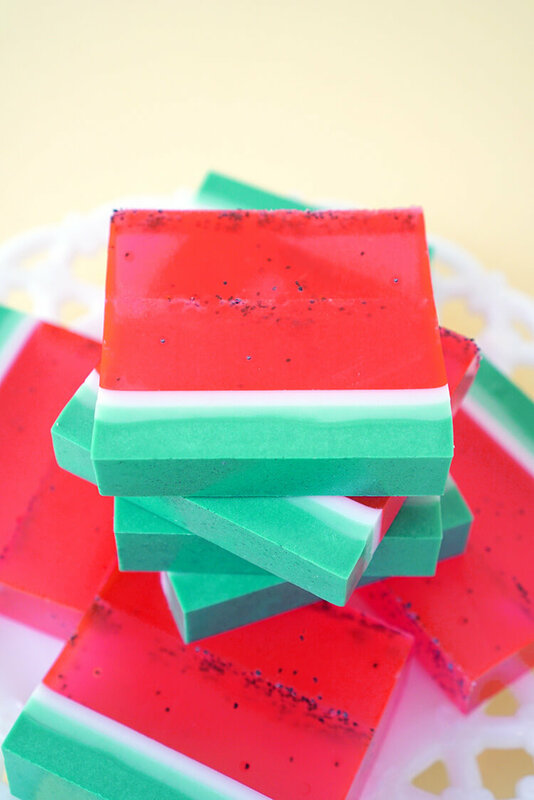 This cute and easy DIY Watermelon Soap can be made in just 15 minutes, and it smells delicious! 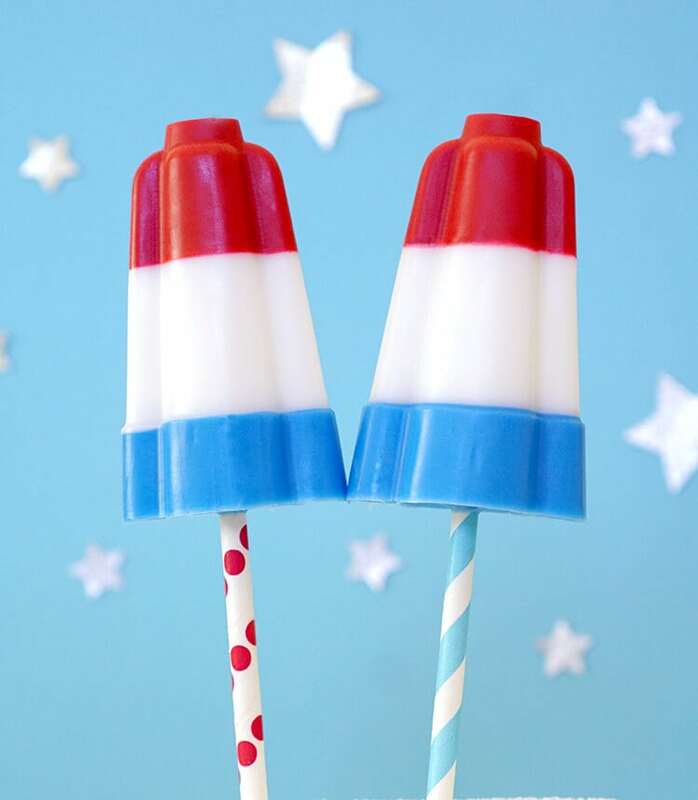 A quick and easy homemade gift idea that’s perfect for friends, family, teachers, and more! 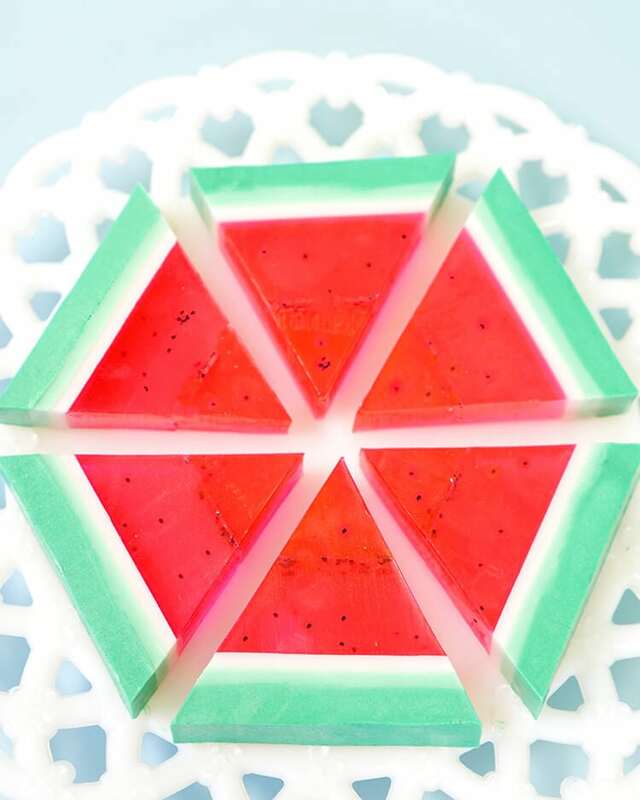 This DIY watermelon soap is the cutest! 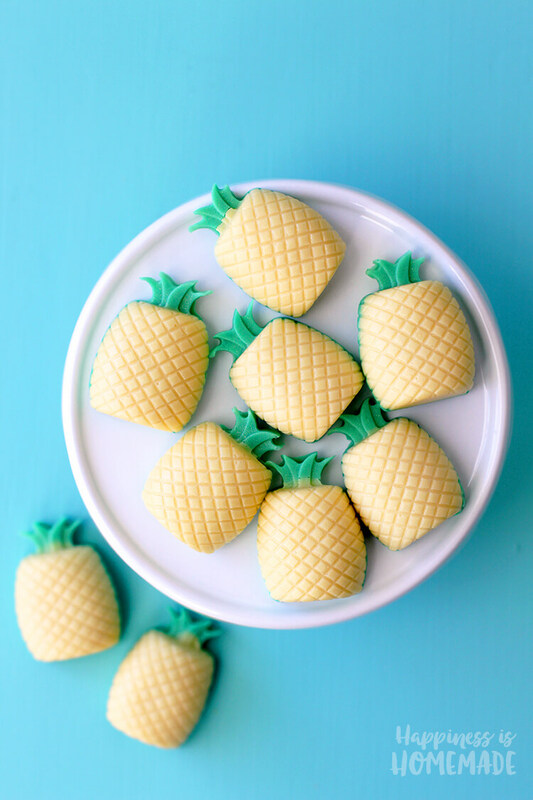 I love these homemade soaps for their sweet summertime fragrance and because they are totally adorable, but what I love the most is the fact that I can whip up an entire batch of these beauties in under 15 minutes! Each layer will take a little longer to firm up, but the actual “work” part is done in less than 15 minutes. Easy peasy! 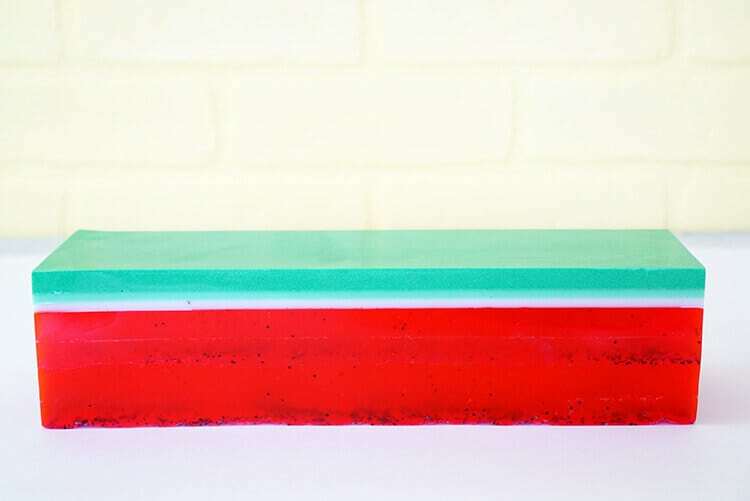 * Note: I have been playing around with different types/brands of soap colorant lately, so for this watermelon soap, I used new-to-me supplies from Bramble Berry (a soap supply store). They worked wonderfully, and I highly recommend them; however, traditional red and green liquid soap colorants (available on Amazon.com or in local craft stores) will work as well! For the Dark Green Layer: Cut 1/2 lb. of the goat’s milk soap into cubes. 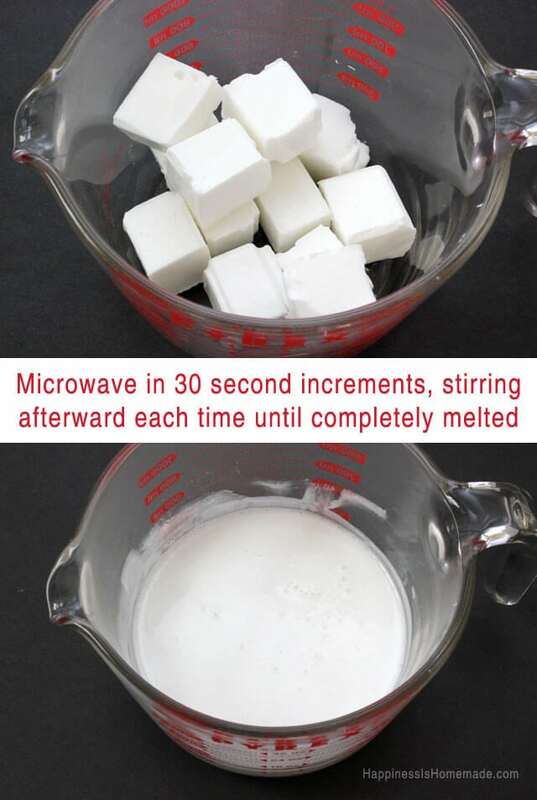 Place the cubes into a 4-cup Pyrex measuring cup, and melt in the microwave in 30-second increments, stirring well after each. 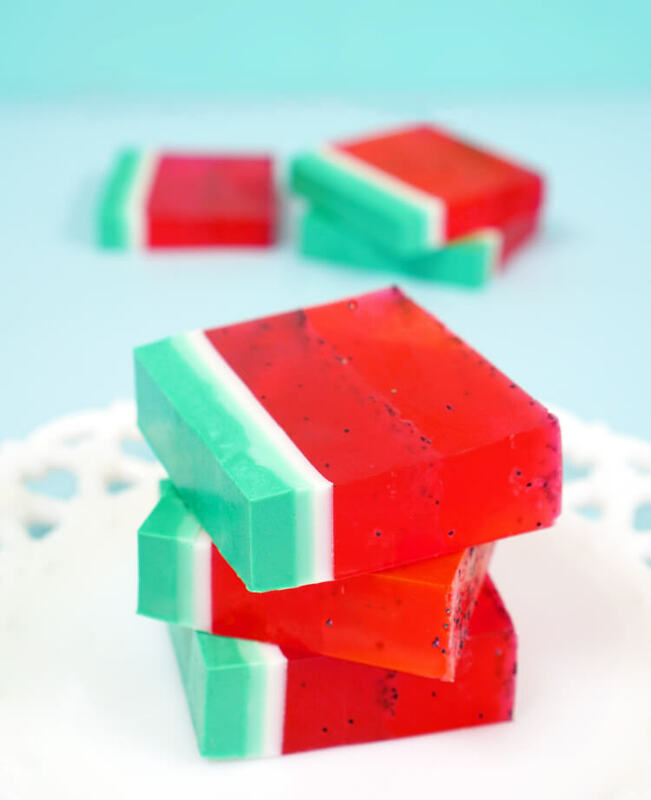 When the soap is completely melted, add 10 drops of watermelon fragrance oil and green soap colorant (as much as needed to achieve the desired color). Pour 3/4 of the green soap into the bottom of the soap mold and allow to firm for 15-20 minutes. For the Light Green Layer: Take the remaining dark green soap (still in the Pyrex measuring cup) and add 1/4 lb. of white soap cubes. Melt in the microwave, stir until fully mixed (will be a light green color), and pour into the soap mold. Allow to firm for 15-20 minutes. For the White Layer: Melt 1/4 lb. of white soap cubes in the microwave. 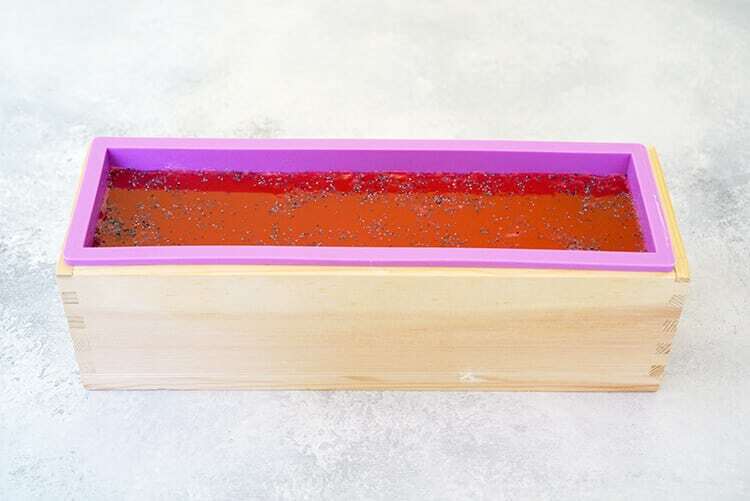 Add 5-10 drops of watermelon fragrance oil, and pour into the soap mold. Allow to firm for 15-20 minutes. 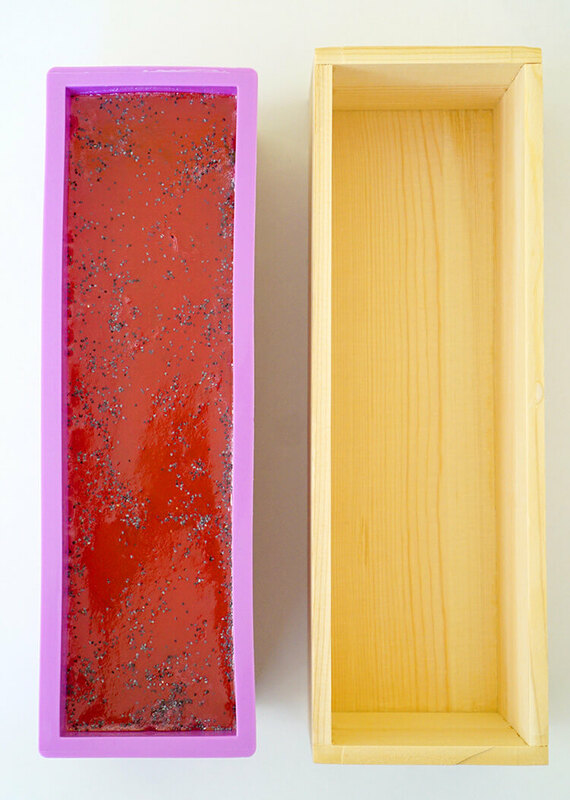 Carefully remove the silicone liner from the wooden mold, and then remove the soap from the silicone. This loaf mold makes an extra large batch of soap, so you can expect to get around 12-15 soaps from each batch. 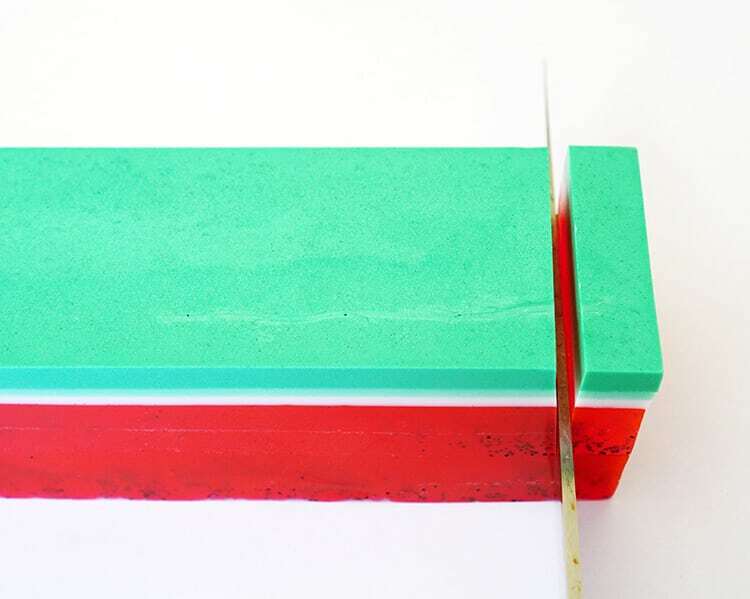 Use a sharp knife to slice the soap into bars. 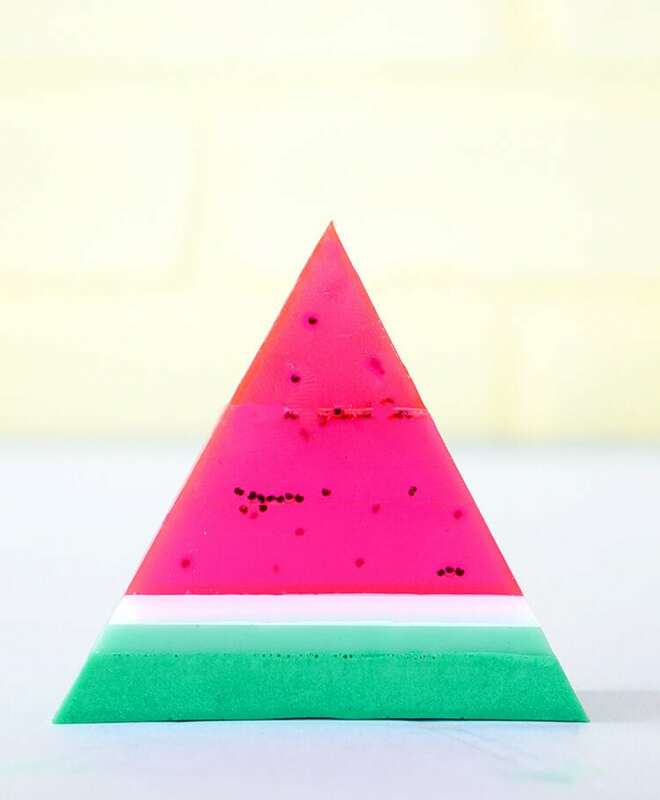 You can leave the rectangular soap as-is, or you can cut the corners as shown to create cute little triangle-shaped watermelon slice soaps! 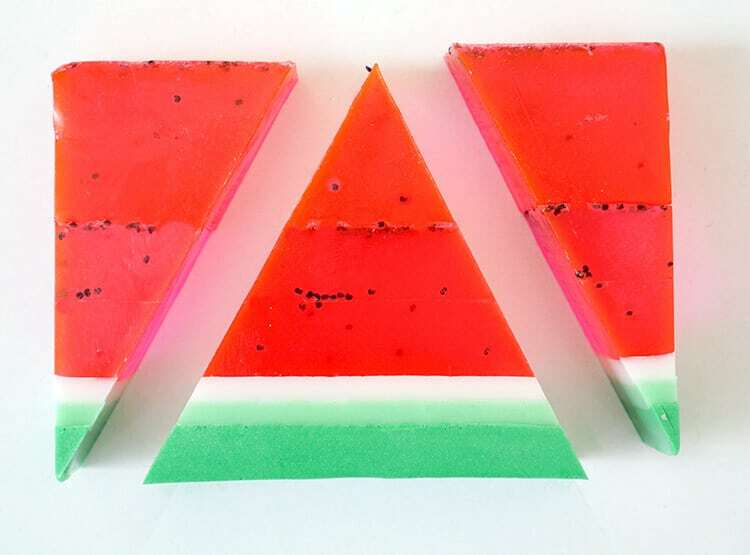 The watermelon soap looks red upon an opaque background, but if you allow the light to shine through it, you’ll see that it’s actually a bright magenta pink! They almost look good enough to eat! The watermelon fragrance is incredible – it smells just like Bubbleicious watermelon gum! 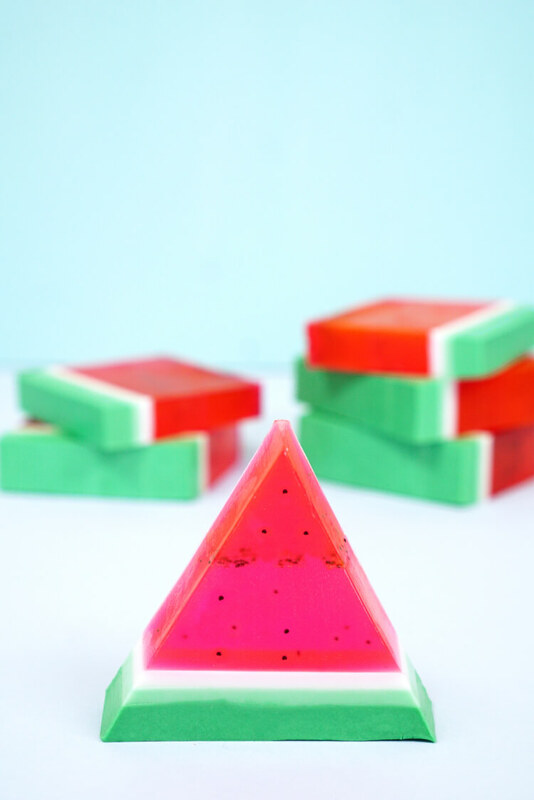 These DIY watermelon soaps are the perfect way to brighten up your summer, and the would make a great gift for friends, family, teachers…or anyone on your gift list! 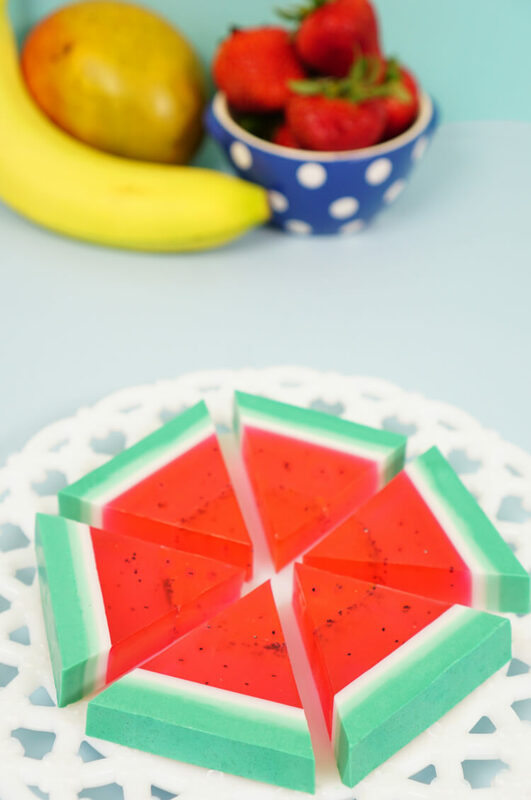 If you like this DIY Watermelon Soap, don’t forget to pin it! Instead of using the colourants is it possible to use food colouring? 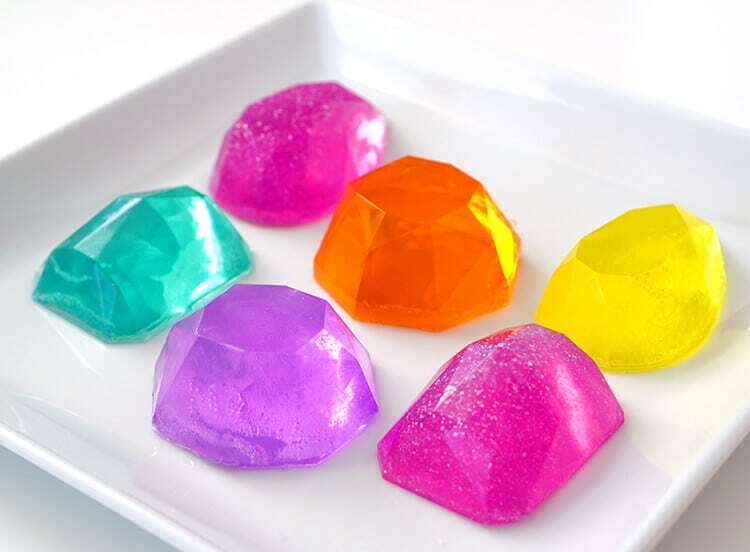 Food coloring will color the soap, however, the color fades quickly and will come off onto hands, washcloths, etc. I do not recommend it. Also, for another alternative is it ok to just any brand’s goat milk soap? 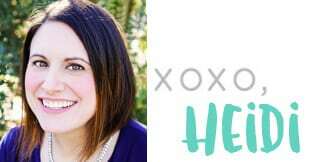 Yes, any brand should work! This is darling! I am planning to make this with my sisters at our monthly craft night. Can you tell me approximately how much of the colorant and watermelon fragrance oil I should order for three of us? Thank you! That sounds like a lot of fun, Shelly! For three people (making this same sized recipe), I would recommend purchasing one bottle of green and red colorant if buying the ones from Brambleberry or two of each color if you’re using the ones from Amazon. You’ll also likely need two bottles of fragrance oil (though you might be able to get away with using only one if you go lighter on the scent). Have a fun craft night!